This week, Arjen Robben retired from international football. 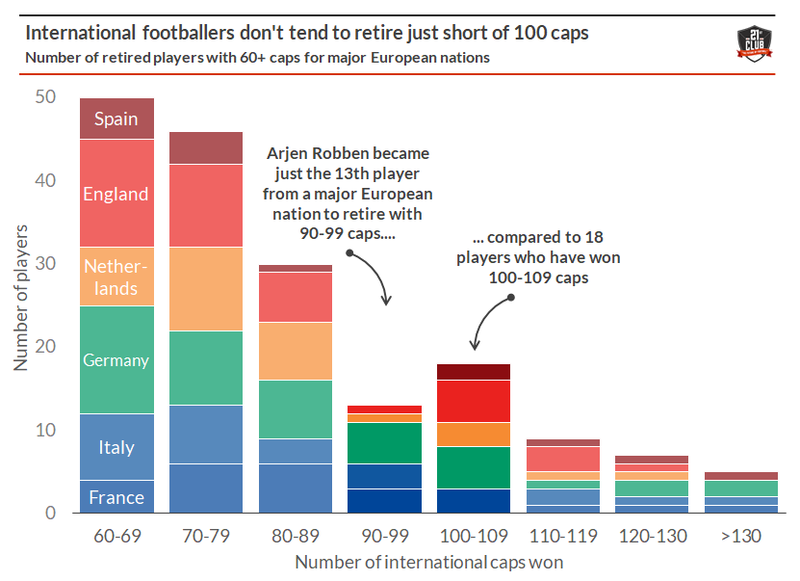 With the Netherlands having failed to qualify for the World Cup, Robben will finish on 96 caps and will therefore not become the 9th Dutchman to reach a century of national appearances. 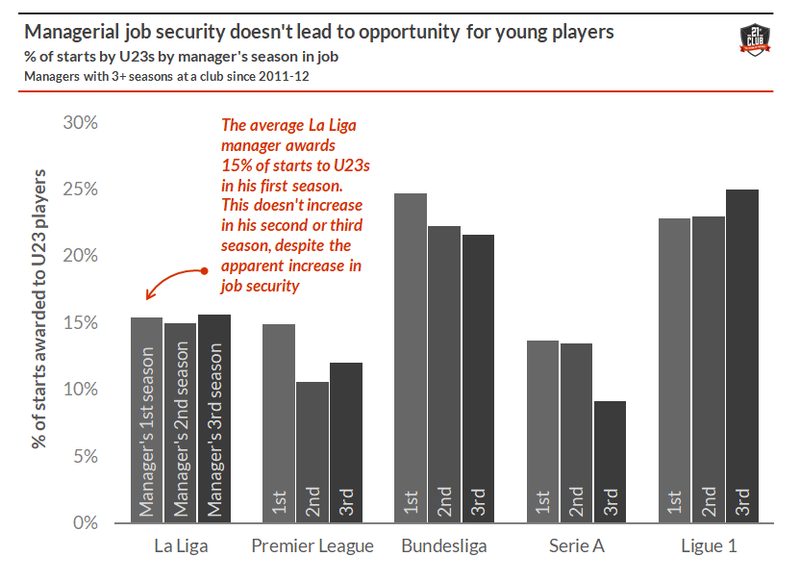 It’s often suggested that a consequence of lack of managerial job security is a lack of opportunities for young players. After all, if a head coach is fearful of losing his job, why would he take on a perceived risk?